Located at 616 Raulerson No 1 Rd., Seville. 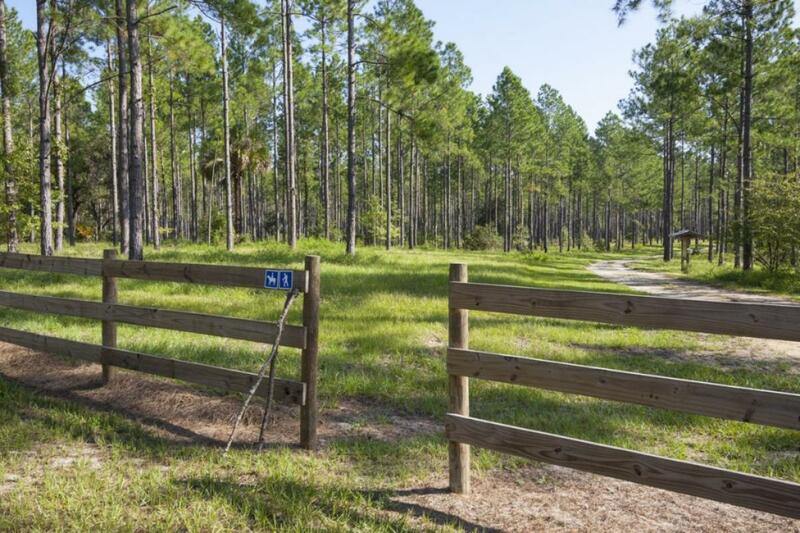 The gate access is located about 2 miles east on North Raulerson No 1 Rd., which is approximately 2.5 miles north of Seville and approximately 1/2 mile south of Volusia County line sign via US Hwy 17. 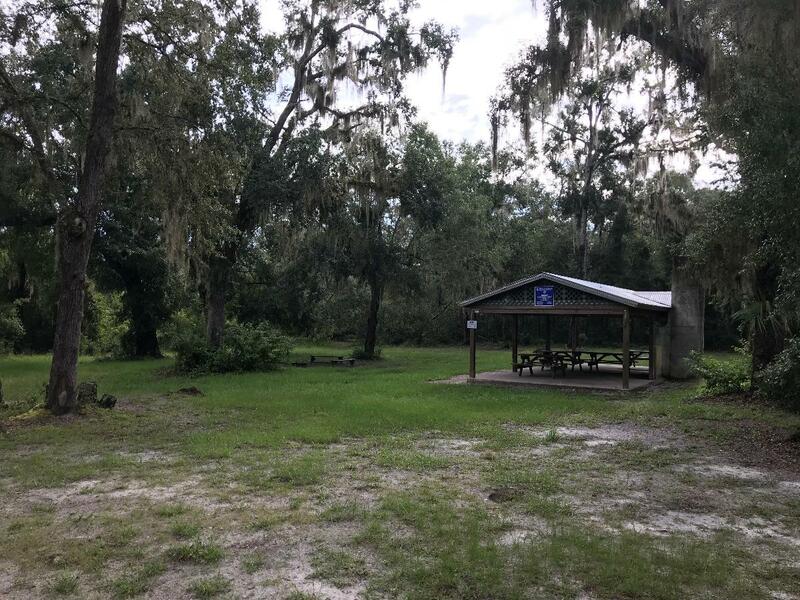 This campsite is nestled in a hardwood hammock 6/10ths of a mile from the trail head parking area and is partially shaded by large live oak trees. This campsite has a fire ring, benches, picnic tables under a large pavilion, lights, grill/fireplace (can't use during a burn ban), spigot with non potable running water, and portolet. This property is NOT located on Crescent Lake.